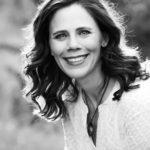 Back in September, I led a workshop called “Writing the Rollicking Read-Aloud” at the Carolinas SCBWI conference. To prepare for it, I brought home stacks of recent-ish picture books, trying to figure out which ones to feature in my presentation. Although half the two-hour session focused on writing in rhyme, I wanted a non-rhyming picture book to kick things off. (1) A good story. Hoot Owl is hungry. But he doesn’t just pounce on his prey. Oh, no. He disguises himself first—as a carrot to catch a rabbit, as a mother sheep to catch a lamb, and as a bird bath to catch a pigeon. Each time, his prey escapes (fortunately—it would make for a rather grisly picture book otherwise!). Finally, he spies a pizza in a restaurant. He disguises himself as a waiter, and—at last—success! (4) Humor. I love Hoot Owl’s mock-serious voice and the silliness of his disguises. Jean Jullien’s simple and boldly colored illustrations add to the quirky humor. Which is exactly what we’re all trying to do here, right? Congrats to Annette Pimentel and Mary York, the winners of last month’s giveaway. 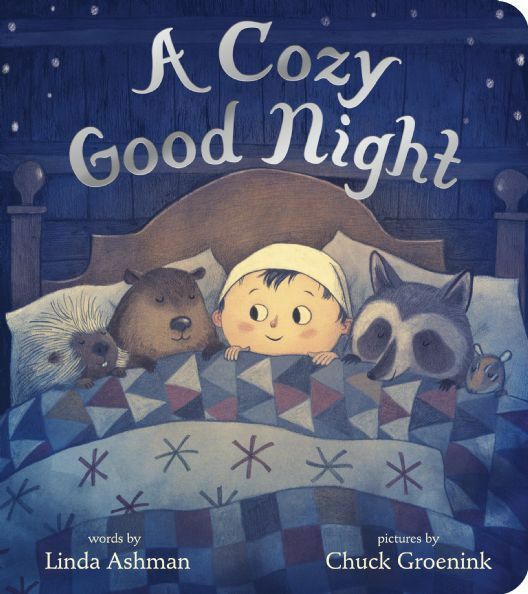 A Cozy Good Night will be on its way toward each of you this week! 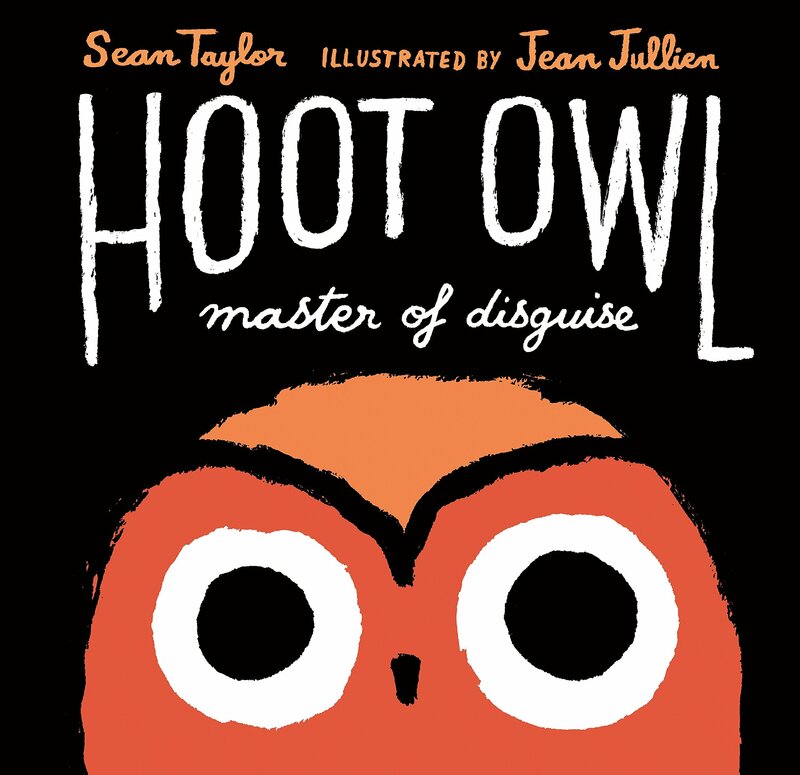 Hoot Owl Master of Disguise, Jean Jullien, Linda Ashman, read alouds, Sean Taylor. Bookmark. Thanks for sharing! Looks very cute, and I like his poetical elements! I do too, Tina. Thanks for reading! Can’t wait to check out this book. Thanks for sharing it with us, Linda! I think you’ll like it. Thanks, Katrina! Can’t wait to get my hands on this book! Thanks! Bet you’ll enjoy it, Tracy! This book looks so great–how have I not read it? I can’t wait. It’s really fun, Linda. Enjoy! Wonderfully illuminating. Thanks for the great lesson. Thanks so much for reading, Karen! You had me at “rollicking”! Ha! I do love a rollicking read-aloud. Thanks, Cathy! Oh, cute! I love it! Can’t wait to read it! It IS really cute. Bet you’ll like it, Angie! I can see why kids would love this book – so fun and entertaining! I must find it! Thanks for sharing it. Yes, definitely has lots of kid-appeal. Thanks, Danielle! It sounds like a perfect read aloud. Can’t wait to read it. Thanks for sharing. Thank you, Linda. “The best words in the best order.” Why is that so hard???? I’ll be looking for this book. 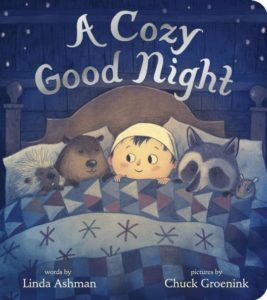 Sounds like a perfect read-aloud! It’s lots of fun. Thanks, Judy! I’M SO EXCITED TO WIN LINDA’S BOOK!!! Sean’s book looks perfectly suited to eager little readers! So many books to get. So little time . . .
What a great choice for your workshop. Thanks for taking us through it point by point. Linda, it was so good to see you in Charlotte, but I missed your workshop, so it’s great to have a little lesson here. Thank you. So great to see you too, Vijaya! Thanks for reading! This sounds hilarious!! And I love the illustrations too! Eyes that glitter like sardines. Love it! Love. This. Voice! And that the word choice is challenging and thought-provoking. Great mentor text. Lyrical language and fun illustrations, yes, but what I liked best was Hoot Owl’s child- like bravado. Thanks for sharing, Linda.